​“I’m a certified introvert.” That’s how Billy Yeargin describes himself. For somebody so outwardly outgoing and so full of life, this comes as a surprise. Billy has been teaching OLLI classes since 1995 (OLLI started out as DILR before becoming OLLI in 2004), and by his own reckoning he has taught every semester but one, an impressive 62 courses in all. His topics cover an enormous range, focusing mostly on southern culture: the Civil War, Robert E. Lee, the History of Religion in the South, Matrons of Mercy, The Role of Women in the Civil War, Women’s Liberation, Heroes of a Divided Culture, World War II, Big Band Jazz, Rock and Roll, the History of Country and Western Music, Slavery, the American Tobacco Culture, the Antebellum South, and Native Americans, among others. This fall he’ll be teaching “Bury My Heart at Wounded Knee.” He has a prodigious memory and has an impressive recall of all the details and dates of his topics. He was born in 1939 and grew up on a farm in Granville County in the eastern Piedmont of North Carolina. Billy’s father was a successful and ambitious farmer, who loved raising his beef cattle and cultivating his tobacco plants and owning and operating a tobacco warehouse. He had to drop out of high school at 16 to take care of his mother and six siblings when his father died unexpectedly, and for the rest of his life, he lived in fear of another Depression. He went through several years of crop losses because of drought, hailstones, and too much sodden land, but he became a wealthy man partly because of sound investments in real estate. He expected his son Billy to take over the farm, but that was not to be. Billy was a chronic day dreamer, dreaming about getting away from that mule and plow, from that tractor, and so he left the farm for good in spite of his father’s repeated pleas for him to return. At a young age Billy was influenced by the black tenant farm families who worked the land, and from them he came to love rhythm and blues and spiritual and gospel music. In his late teens he played the drums in a big band jazz group and ultimately became a Country/Western “road” and “studio” drummer. Two private military college prep schools beckoned for Billy’s four years of high school. He was no problem child, but he begged to go, “mainly because my friends in junior high would go away to military school and come home with their uniforms on, which impressed the girls no end.” He paid his way through school by waiting on tables the dining halls. However, his father became ill and Billy had to return to help out at the farm before he could graduate, but eventually he got his GED at East Carolina Teachers College (now ECU) in Greenville, NC. That was his only formal education. He did know his agriculture, though, and from 1958-1991 he served as Executive Director of the Tobacco Growers Information Committee, Inc.; as Senior Agriculture Advisor to US Sen. Robert Morgan; as a policy advisor to Attorney General Rufus Edmisten; then as Agricultural Liaison to then Gov. Jim Hunt. After Hunt left office, Billy became the Executive Director of the North Carolina Sweet Potato Commission and was their lobbyist and PR person until his retirement in 1995. He knew nothing about sweet potatoes when he was hired, except that NC was and still is the largest sweet potato producing state in the U.S. They grow in the same area as tobacco and actually come from the same botanical family. One day he was in his office reading the newspaper and saw that Duke University was offering an MA in Liberal Studies for people in mid-career. He was then 46 years old, and decided to apply in spite of having no formal high school diploma and no undergraduate degree. He talked his way into the program by producing the glowing letters of recommendation that he received from his political friends in the NC government, and graduated with an MA from Duke in 1989. Through Duke, Billy spent two summers at Exeter College at Oxford University in England, studying European history, society and politics. 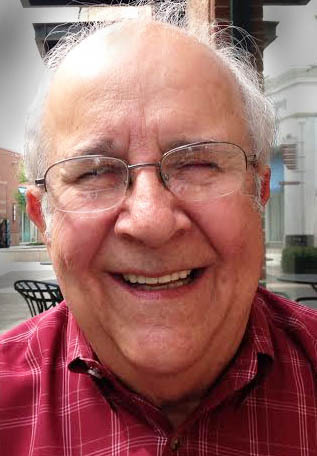 He loved the university and the whole area — “so majestic.” In 1991 he got a call from his alma mater, Oak Ridge Military Academy, asking him to give the commencement address. He replied that he’d do it under one condition: that he be given his high school diploma. He was, and he did; in fact he officially graduated at the same time as the 1991 class. Then, in 2012-2013, went on to serve as President of the Academy. He married his wife Patricia in December, 2014. They had been a couple in the ‘60s for six years and came within three daysof getting married, but wisely (as it turned out) did not. They then married other people and Billy and his wife had two children, a son Billy Jr. and a daughter Kim, both of whom live in the area. When his wife died, Billy remarried. It didn’t work out and the marriage ended in divorce. It was a lonely time for him until he and Patricia, also widowed, met again and now they live in Swansboro, NC, on the coast between Jacksonville and Morehead City. He says they have a large, happy family, with lots of grandchildren and great-grandchildren between them. Billy doesn’t have much time for hobbies anymore. He and a close friend and their dogs used to be enthusiastic quail hunters until his friend died a few years ago. His real hobby and passion has always been music, almost every kind of music. After retiring from his full-time job in Raleigh with the Sweet Potato Commission, he started teaching, in September 1995, at Duke at what was then the Duke Institute For Lifelong Learning in Retirement, under Sara Craven’s direction. Andhe’s been teaching there ever since. He also went into the tobacco warehouse business with a friend, dabbled in real estate, and began writing the first of his three books on the American tobacco culture. About twelve years ago he began teaching philosophy, public speaking, several levels of US, Ancient and Western Civilization History, along with Southern culture in three Community Colleges and has now become a certified supply interim pastor in two Methodist churches near Swansboro. He’s been a lay speaker in the Methodist church for quite a while, and has been asked to do some troubleshooting to try and stem the flight from collective, organized worship in some rural areas. Billy Yeargin is a contented man. He’s done everything in life that he’s wanted to do, he says, except for his bucket wish list to take Patricia to England and show her Oxford. And although it’s taken him many years to appreciate his roots, his heart remains on that farm in Huntsboro, North Carolina.